iVend Loyalty as an application is licensed as an on-premises solution where the activation of the application is an one-time fee. Since iVend Loyalty deals with creating and managing loyalty cards, these cards are licensed as an annual recurring component based on the number of cards licensed. iVend Loyalty 2.0 has three component i.e. Enterprise Component, iVend Loyalty client and iVend Loyalty APIs. All these three components can be installed on a single machine or different machine. iVend Loyalty client and APIS should have access to iVend Enterprise component. 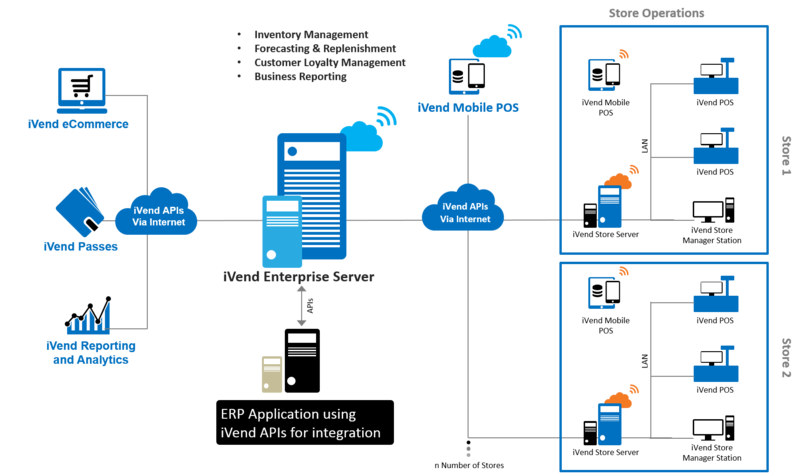 iVend APIs must be hosted on a system with internet connection. These APIs shall be access by POS systems for interacting iVend Loyalty System over the net. Use the “Configuration Manager” to configure connectivity to the Loyalty database and iVend Retail instance. A Global Configuration Wizard is normally used to configure the minimum configuration requirements to run the application which include configuring Loyalty plans from template based options. The loyalty plans can either be fixed or cumulative. Seamless integration between iVend Loyalty and iVend Retail ensures that customer specific information is available at the POS for the cashier. Once a customer is selected at the POS, his current points are displayed to the cashier. The customer has the option to utilize his loyalty points as a tender defined in iVend Retail. The points accumulated are integrated into iVend Loyalty and iVend Retail on the completion of the transaction at the POS. Each time a transaction is completed in iVend Retail the customer registered for Loyalty is rewarded as per configuration. The data flows transparently through the enterprise behind the scenes across system and network boundaries. The application also comes with standard e-mail templates which can be used to communicate with the customers. These templates can be used to inform the customer on their loyalty point statuses.